It's break time at work and all you can find in the breakroom are some stale cinnamon rolls and a half-empty jar of old candy. What do you do? Of course sugary foods are fine every once in a while. But wouldn't it be nice if you were able to get snacks at work that aren't just delicious, but a boost to your health as well? Nuts, seeds and dried fruit are the new snack on the block when it comes to breakroom food. Protein-rich foods like nuts help our brains produce dopamine and other essential brain chemicals that make us happier and smarter. Just one handful of nuts is a powerhouse of nutrients that our bodies need to be healthy, and is more filling than fresh fruit. At This Is Nuts we're passionate about making it fun and easy to eat and live well - both at home and at work. That's why we're introducing subscriptions of our exquisite, all-natural snacks that are specifically geared toward the workplace. Right now we have three types of boxes on offer: Tasty Tease for small to mid-size companies, Complete Satisfaction for larger companies, and Organic Pleasure, which is a 100 percent organic box. The boxes can be delivered monthly or every other week, depending on need. Read more about our offerings below, and ask your employer to join us on our journey toward a healthier and more pleasurable life! If you're an employer, contact us directly at info@thisisnuts.co or 08-515 100 21 to find out how you can easily make the switch to better workplace snacks. 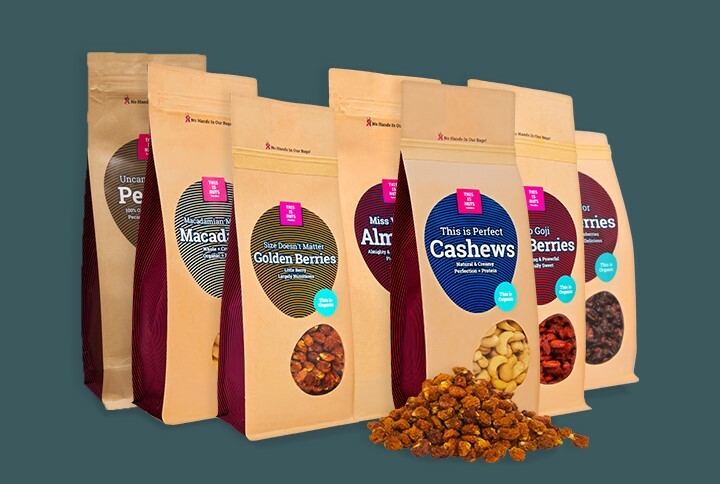 Tasty Tease is a delicious mix of some of our most popular nuts, seeds and dried fruit. Enjoy 100 percent natural pumpkin seeds, creamy hazelnuts, exotic Brazil nuts, crunchy walnuts, roasted pistachios and generously salted cashews. Then contrast the salty sensation with our sweet, sundried apricots and succulent cranberries. All products are free of additives and completely or partly organic. A perfect fit for a smaller company. Complete Satisfaction includes everything in Tasty Tease, plus our macadamia nuts that have been roasted golden to evoke a deeper, richer flavor, as well as an extra bag of our popular Roasted & Salted Ultimate Mix. 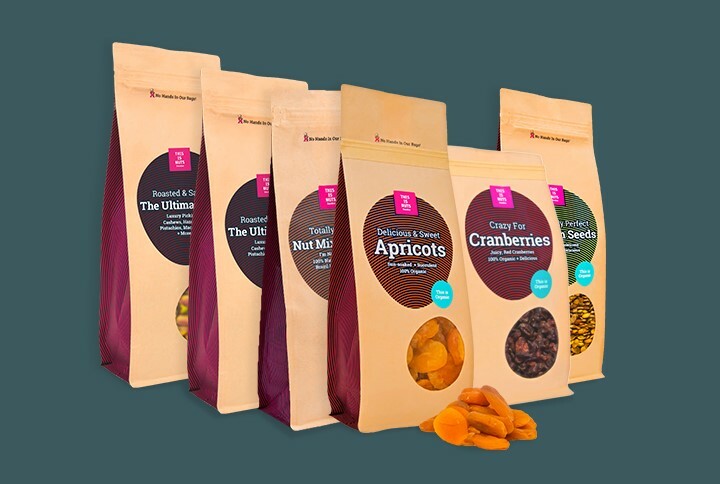 Indulge in healthy nuts, crispy seeds and sundried fruit of the highest quality. All products are free of additives and many are also completely or partly organic. An excellent option for the larger company. Organic Pleasure is the box for companies that want to offer healthy snacks while boosting their environmental record. In this box, our completely unprocessed cashews, pecans and almonds mingle with sundried golden berries, juicy cranberries and super healthy goji berries. Of course everything is 100 percent organic. A good deal, both for your body and the environment! 1. Contact us at info@thisisnuts.co if you're interested in starting a subscription for one of our boxes. 2. 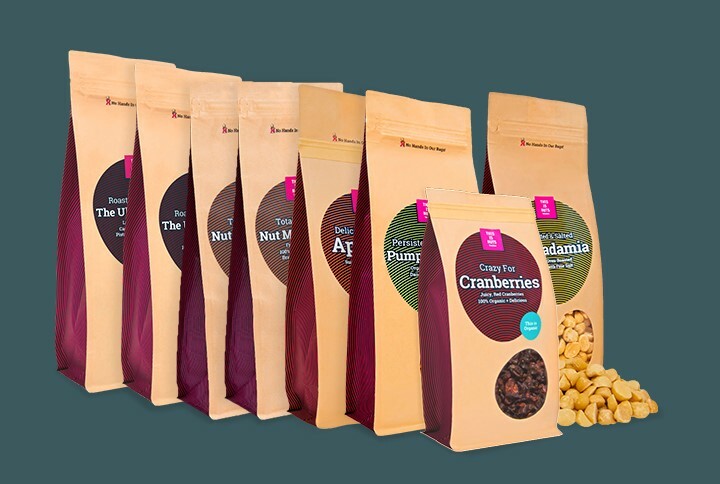 Get your first delivery of our luxurious, healthy fruit and nut mixes within a week. We deliver all over Europe. 3. Pay by invoice, smooth and easy. By all means, splurge with a cinnamon roll on special occasions. But let's fill the breakroom with a healthier alternative that you can feel good about eating every day!